The following translations were first discussed in a blog post made in June 2015. One of the specialties of this country is Tea, the use of which is common throughout the Orient, and I see that it is beginning to be known in Europe, moreover this is one of the most health-inducing things that I have ever seen in any country, and I do not know if it is not one of the main reasons for the good health that these people enjoy, and of the late old age that they regularly attain. It has a large leaf like that of our Pomegranate, it grows in the form of shrubs that resemble myrtles. There is nowhere in the world other than two Provinces of China where it can be found. Those who come from Nanking and from Chin Cheau [Guangzhou?] are kept engaged in the harvest of this leaf just like those who here complete our grape harvests; they dry it in the oven, and then put it into tightly closed containers. The whole of China, Japan, Tonkin, and other kingdoms are supplied in this way, and there remains such abundance that it is sold at a really affordable price. Furthermore, it is drunk several times each day, or one might better say at all times [of day]; in order to take it, one first boils the water, into which one puts the leaf; taking the water back from the stove after some time, when [the leaf] sinks to the bottom, which will be done in less than a quarter of an hour[;] one drinks this water, as hot as one can manage, and it has three marvellous effects, the first is to soothe the head, and to settle the vapours; when I had a migraine or some other headache, I only had to make myself lift this water [to my mouth], and it seemed to me as if the pain was relieved with the [same] hand. I was often particularly obliged to stay awake throughout the night to hear Confessions, I would take the same remedy, and I’d remain throughout the night without being oppressed by sleep, the next day I would be so free [from tiredness] that I did not have to sleep, I wanted to do this once for six consecutive nights, but in truth I was ultimately too weary. The other virtue of this concoction is that it strengthens the stomach, and yet another is that it purges the kidneys from the stone and gravel. I could tell you about many other wonderful things that I have seen in China, if I did not know that many other books already describe them very accurately. Translation copyright © Richard Coulton (2015). One of the things that contributes in my opinion to the good health of these people, who regularly reach old age, is Tea, the use of which is very common throughout the Orient, and which is beginning to be known in France, through the agency of the Dutch, who bring it from China, and sell it in Paris for thirty francs per pound; the same that they bought in that country for just eight or ten sols, and yet I see that usually it is of the kind that is old and ruined; it’s thus that our good Frenchmen, allow Foreigners to enrich themselves through commerce with the East Indies, from which [the French] could reap the most extravagant riches in the world, if they had the courage of enterprise which matched that of their neighbours, who have more limited means to succeed than them. Tea is a leaf, big like that of our pomegranates, which grows on shrubs resembling the Myrtle, it is nowhere in the world other than two Provinces of China, where it is found, the first is that of Nanking, from which comes the best tea, that they call Cha, the other is the province of Chin Cheau. 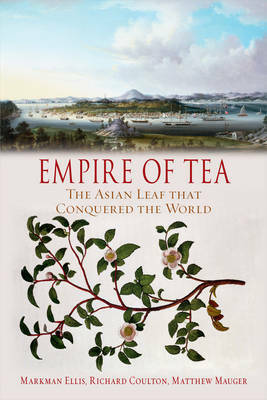 The harvest of this leaf is made in these two Provinces, with the same care with which we treat our grape harvests, its abundance is so great that they produce enough to supply the rest of China, Japan, Tonkin, Cochin China, and many other Kingdoms, where the use of Tea is so commonplace that those who don’t take it three times each day, are the most moderate; many more take it ten or twelve times, or one might better say at all times. When this leaf is picked, they let it dry well in the oven, then they shut it up in pewter vessels which are firmly stoppered because if [the seal] is lost, [the tea] has no strength, like wine that is flat. I will leave you to think whether the Dutch gentlemen have taken great care of that when they sell it in France: to know whether the Tea is good, you must observe whether it is really green, bitter, and dry so that it crumbles in your fingers, if it is like that then it is good, otherwise you can assure yourself that it is not worth much. This is the manner in which it suits the Chinese to take Tea, they bring water to the boil in a really clean vessel, when it is bubbling strongly they take it from the stove, and put this leaf in it, the quantity relative to that of the water; that is to say a crown’s weight of Tea, for a good glass of water, they cover the vessel well, when the leaf goes to the bottom of the water, from then on it is the time to drink it, because it is from then on that the Tea has communicated its virtue to [the water], if it is cooled down it is not to be used. The same leaf that is left at the bottom of the vessel will do a second time, but in that case it should be left to boil with the water. The Japanese take Tea in another way, because they beat it into powder, then throw it into boiling water, with which they swallow the whole lot: I do not know whether this manner of taking it is healthier than the former, I have always served myself, and have found to be good that [method] that is shared by all the Chinese. Several [people] mix a little sugar with the tea, in order to soften the bitterness, which does not seem to me at all disagreeable. There are three principal virtues of Tea. The first is to cure, and to chase away headaches, personally when I have had a migraine, by taking Tea, I have felt greatly relieved, such that it has seemed to me as if I have taken away with my hand my entire headache. Because the main strength of Tea is in abating the gross vapours that rise to the head, and which inconvenience us, if you take it routinely after supper it will displace sleepiness: there are nonetheless some whom Tea makes sleepy, because it does not curb the crassest vapours it leaves those that belong to sleep itself, I myself have experimented [with Tea] quite often when I was obliged to listen all night to the Confessions of my good Christians, who would often arrive [at that time], I only had to take Tea at the the time I would have begun to sleep, [and] I would remain all night without being pressed to sleep, and the next day I would be as fresh as if I had slept as normal; I was able to do this one time each week, without being inconvenienced. I wanted once to carry on for six consecutive nights, but on the sixth I found myself absolutely exhausted. Tea does not only benefit the head, it has a marvellous ability to soothe the stomach, and to aid digestion, also there are many in the habit of taking it after having dined [in the middle of the day], after supper you would not take it routinely if you want to sleep. The third thing that Tea does is to prime the kidneys against gout and gravel, and it could be the true reason why these kinds of illnesses are rarely found in those countries, as I have observed already. I have extended a little this treatise on Tea, because since I have been in France, I have had the honour of seeing some people of high status, and of excellent merit, whose life and health is extremely necessary for France, which they have served to great advantage, and who have had the goodness to request that I tell them about what thirty-years experience has taught me about this grand remedy.